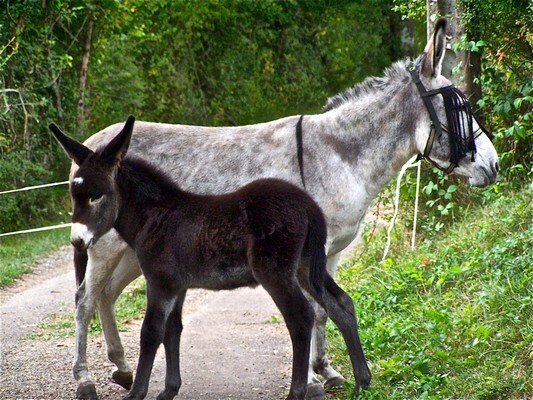 Home » Donkeys » Desperately seeking…. We’re desperately seeking new Guardians. 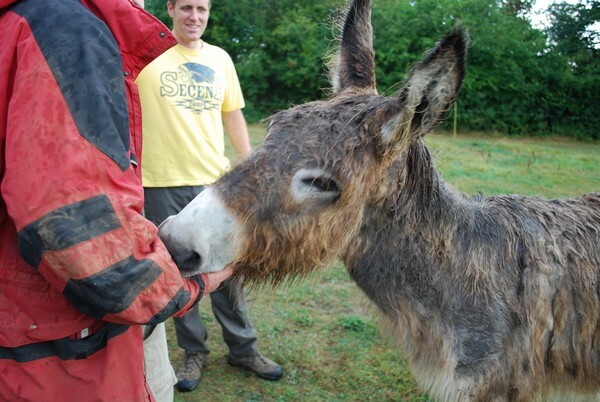 Rentrée has arrived here in France and we need to find some new homes for 3 pairs of gorgeous donkeys. We have deadlines for all of them – so please help us to find them new loving homes. First up, we have Coco & Roma, two brothers who have been handled since birth. They are both gelded and very friendly, we’ve known them for 3 years and even have one of their brothers in our own equine family. Unfortunately, their current owners have had to return to the UK following a change in circumstances and so we need to find them a home quickly. 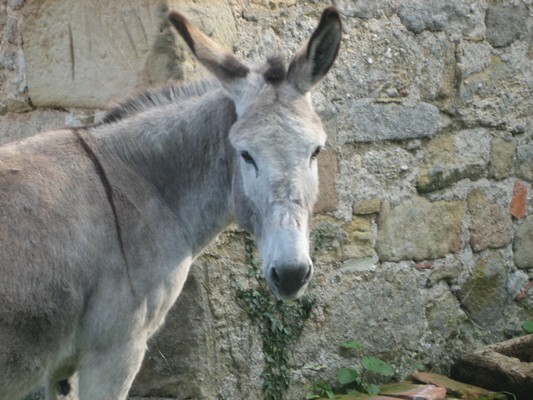 They can be seen in the Charente (16) where they are currently being looked after. They are both in good health and have had no welfare issues, always having been part of families and whilst they have not been backed, they are both suitable for riding and/or driving in the future. These photos were taken on a very rainy day, so they are looking rather sorry for themselves…. Next up are Manon & Rowan – Manon was a broodmare in the meat trade and was purchased by a kind hearted supporter when she was left at the end of a meat fair after she had seen her long term partner and latest foal loaded onto a lorry destined for Italy. Manon was pregnant with her eighth foal, Rowan, at the time. 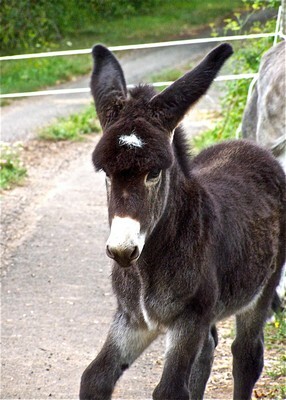 Rowan was born a month ago and is a stunning little foal and has been handled since birth. However, they cannot stay where they are and so we need to find them a home where they can live out their days away from the threat of the meat lorry. Rowan will need to be gelded as soon as he is old enough but they are both in good health and well-handled. They can be seen in the Lot (Dept 46). 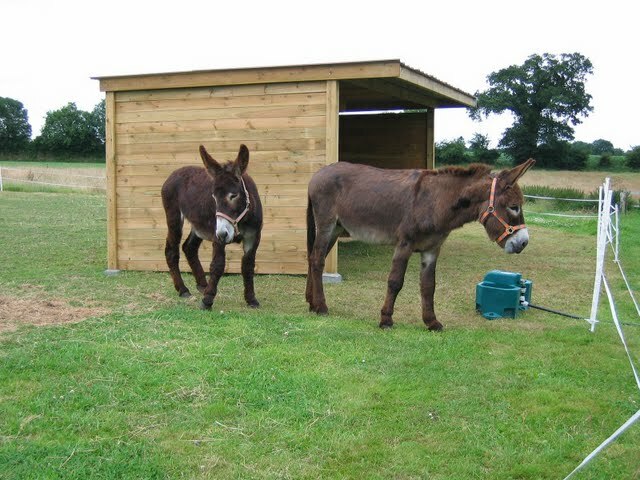 And last but by no means least are our very own Wilbur and Piona who many of you will remember from back in 2008. They were welcomed into a wonderful home in the north of France who have now been hit by some unexpected circumstances and can no longer offer a longterm home to the pair. 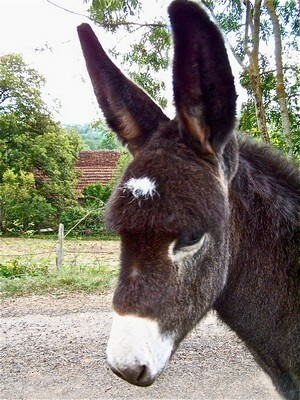 Piona is 75% Baudet de Poitou and is in the ‘B’ Studbook. She has always been with a loving family and adores nothing more than standing and being loved by all around! Wilbur on the other hand was rescued after being abandoned in a barn for 6 months. He had the worst feet we have ever seen and took many months to rehabilitate – you can see a video of him on the right. Given his background, it takes Wilbur longer to trust new families and he is wary of new people. 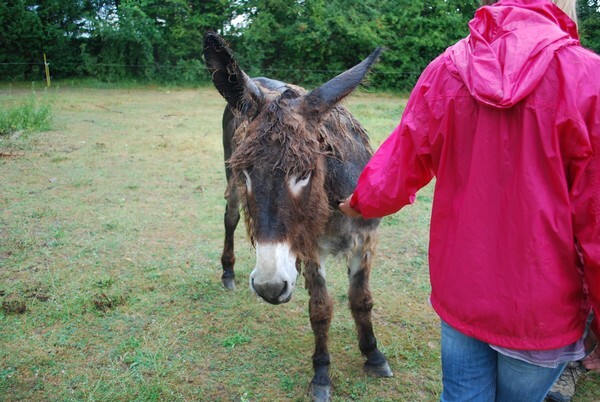 Having spent a lot of time with Wilbur during his recovery, I can confirm that once he is able to trust, he is a lovely donkey and full of character. 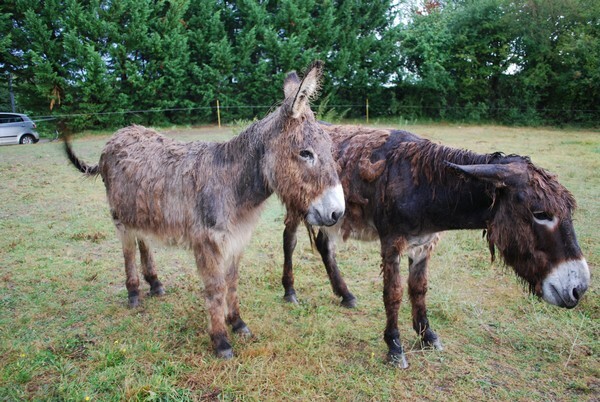 Both Wilbur and Piona are large donkeys and can be visited in Normandy by appointment. 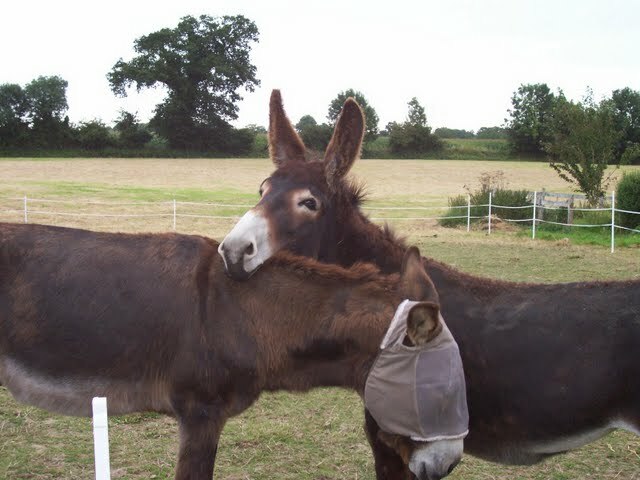 Please help us find homes for these donkeys by sharing this blog with your friends. Somewhere there are new homes waiting for all these donkeys.